Photos contain some of our most precious memories, so it is only natural that we would want to keep them safe. Droid Transfer allows you to transfer your photos from your Android phone to your computer. Visit our TouchCopy page if you need to transfer photos from iPhone to computer instead. Open the "Photos" tab from the feature list. 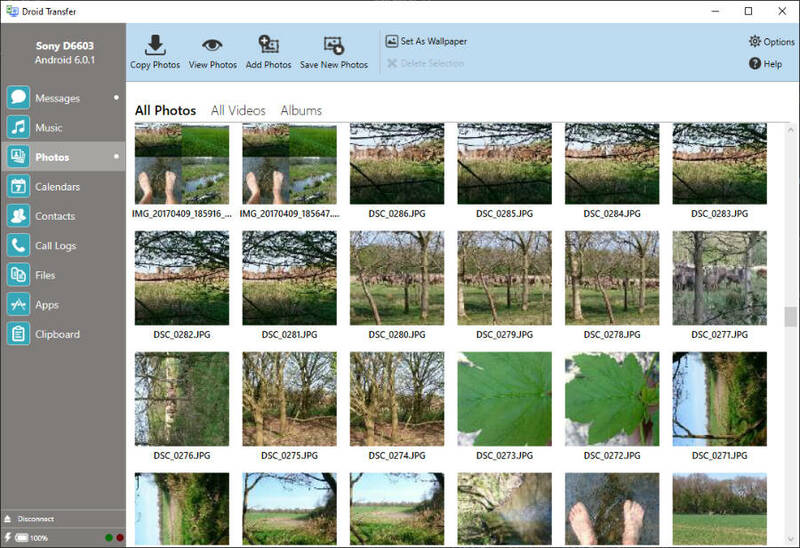 Tell Droid Transfer where to save the photos to on your PC. You can use Droid Transfer to quickly and easily copy photos from your phone to your computer. 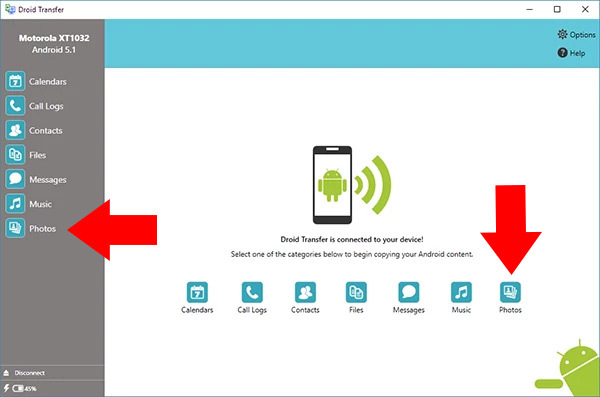 First of all, connect your Android device to Droid Transfer on your PC. Next, open the "Photos" feature header in Droid Transfer to display the photos stored on your Android device. Click "Copy Photos" to copy all photos, or make a selection of photos first to only copy specific photos. You will then be prompted to tell Droid Transfer where to save the images to on your computer. Once you have made your selection, hit "OK" to start the transfer! You can even set one of your Android photos as your Desktop wallpaper by using the "Set Wallpaper" function - try it out!